December saw the launch of the very first limited edition packaging and all I can say is 'Wow' they really have gone all out with this box! As you can see, this month's goodies came in a festive red box, instead of the usual pink one. It includes 2 full sized items as well as 4 samples. Like a lot of people, I love trying new make up, so I was really pleased to see not 1 but 4 cosmetic items in the box. The nail varnish although sheer in formula is absolutely gorgeous and the lipgloss is perfect for a hint of daytime colour. I've yet to use the shower gel, but mandarin and mint sounds very refreshing and I can't wait to try it out once my current one finishes. For me, this is by far the best Glossybox to date, and I can't wait to see what they've got in store for future boxes! If you are thinking of signing up, the January box will probably be a little later than usual, but can still get your hands on this amazing December box via their website. Are you a Glossybox subscriber? What do think about the contents of this box? 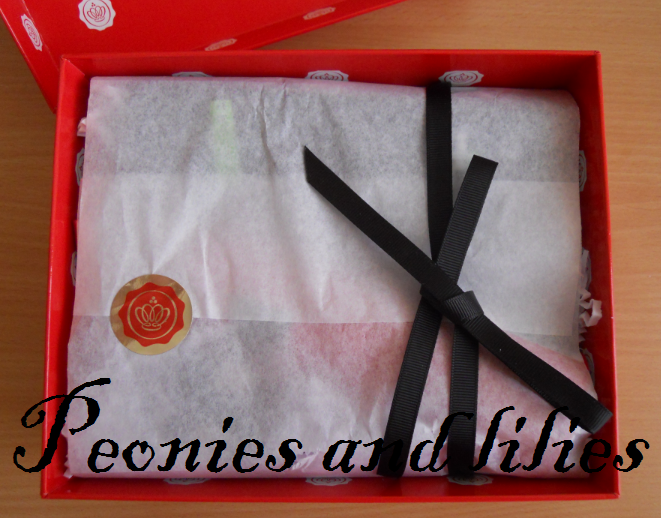 December was my first Glossybox and I was impressed with it, but I know that having read past reviews they are a bit hit and miss. Wish I had received the MEMEME sample! I have been wanting to try that. Mine is still at university :( I need that nail varnish NOW before I go insane and start throwing make-up at people! I want to get these sample boxes so much! I see everyone getting one and I can't wait to sign up, these are awesome! !